Iyad al-Baghdadi’s story of detention and displacement echos the UAE's sweeping constraints against free speech and discrimination against migrants. On April 30th, 2014, Iyad was summoned to the immigration office, UAE. As he drove towards the headquarters of the naturalization and immigration department in Ajman, he did not know it would be the last time he drove in the country he called home, the country where his family has lived for four decades. The Palestinian blogger has been a prominent name on twitter since the 2011 Arab revolts, providing commentary and igniting debate on a range of regional issues. This fame, however, did not please the UAE’s security apparatus. Emirati authorities followed him closely, waiting in anticipation for some breaking point – the moment when the culmination of his outspoken opinions could internally ‘warrant’ his detention. “I was exiled, not deported,” Iyad wrote on Twitter, in October, reappearing for the first time, since his detention, having arrived in Oslo. Before him, stateless activist Ahmed Abdulkhaleq was jailed for months before being exiled to Thailand. Yasin Kakande, a Ugandan journalist who worked in Emirati press for 10 years, was next. Kakande was exiled for writing a book on the UAE’s migration and trafficking issues, a topic local journalists are heavily constrained in reporting. Iyad reminds us that these are not “deportations” as the regime likes to phrase them, but repressive measures designed to silence criticism and dissent; authorities exploit migrants’ legal vulnerabilities, easily displacing them without explanation, let alone justification. “I knew they [would] come after me, I just did not know when,” says Iyad. “In 2013, statistics showed that my twitter feed [was] the most influential and connected account out of the UAE.” This meant more visibility for him, and for opinions that did not perfectly parrot the UAE’s political agenda. The breaking moment, however, came with the coup d’état in Egypt, strongly supported by the UAE and Gulf monarchs. Iyad voiced his criticism of the Raba’a massacre, making him a target of both Egypt’s and the UAE’s regime loyalists. “I was suddenly being trolled by anonymous accounts on twitter that called for my expulsion. They were tagging accounts of UAE leaders to look into my views.” Iyad’s nightmare began only hours after the death of his friend, the renowned Egyptian blogger Bassem Sabry. Iyad walked into the immigration office the next morning, where an Emirati officer awaited him. Providing no other explanation, the officer told him a deportation order had been issued against him. After this ambiguous conversation, Iyad was taken to an on-site jail block where his belongings were confiscated and his hands and ankles shackled. Throughout the ordeal, he thought of his wife at home, who was seven months pregnant at the time and had long worried about the consequences of his political views. Corruption within the prison system is a story of its own [...] They were also made to sit on the floor under the burning April sun. “One Syrian man had a bakery but the building of his shop got burned. As a result, he could not renew his trade license and his status became illegal.” Most of the men Iyad met were young, but others were in their 40s. Iyad talked to an Egyptian man who has been working as a judge in the Emirates for 15 years; he spent a year in jail pending deportation, all for merely requesting the testimony of the interior minister in a corruption case. Corruption within the prison system is a story of its own; the guards use prisoners to organize their cellmates and carry out daily routines including lining up inmates for meals in exchange for small allowances, such as making a phone call. Prisoners are also required to clean the cell block, a task many prisoners look forward to only because it offers their only opportunity for physical exercise. During the five days of Iyad’s detention, prisoners were not allowed to leave their cells except for meals. They were also made to sit on the floor under the burning April sun. The senior officers are Emiratis, while the prison guards are Omanis hired through a private company. Others were Nepalese and Sudanese. 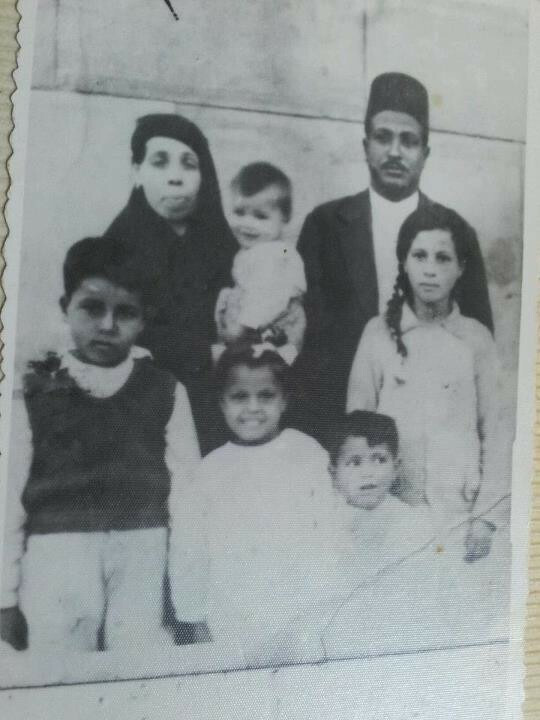 Father of the family Iyad was forced to flee from Jaffa in 1948, which is in the second month of age. Expanding on the differential treatment for convicts and deportees, Iyad noted that once a migrant is imprisoned in a deportation center, they are legally considered “outside of the country.” This means that they are not registered and cannot be found easily, resulting in longer periods of imprisonment for those unassisted by their embassies. Worse, deportation centers are considered “temporary,” meaning international NGOs typically granted access to prisons are denied visitation. In packed cells, many migrants are not informed of the charges levied against them. Iyad met prisoners who had signed papers after their arrest, entirely unaware of their content because the papers were in Arabic and they were not accorded access to translators. Many were falsely reported as “absconding” by their sponsors, a strategy sponsors frequently use to punish workers for legitimate complaints or avoid their responsibilities as kafeels. In the days he spent in al-Sadr prison, Iyad witnessed the case of one mentally troubled man who had called for the guards at night without a response. Only when he cursed them did the guards come to drag him outside and beat him up. Another man, a Sri Lankan migrant, suffered from frequent hallucinations. He too was taken, beaten up, and drugged. Neither man appeared at all normal when they returned to their cells – they seemed to have been drugged into silence. When Iyad himself suffered an asthma attack, it took prison guards four hours to take him to the prison clinic. To be transferred from prison to the deportation chamber is an all-day process; migrants are retina-scanned to ensure they are permanently unable to re-enter the country. Some try to avoid this phase of the deportation cycle but Iyad went through it with an overwhelming number of people. Some of these prisoners tried to have friends or relatives sue them for false debts in order to avoid deportation. On the day of his exit, Iyad met a number of Emiratis and Khalijis who were also being deported. One citizen was accused of espionage – the only evidence against him was his mother’s nationality – Qatari and that he lived in Qatar. He was jailed for nine months pending deportation. Another young man, disowned by his family was pending deportation to India because his mother is Indian. Differential treatment does not end after leaving prison; en route to the airport, Iyad was told he could only be deported from a regular airport if he buys his own ticket. Those that cannot afford to purchase their tickets are deported from military airports, still shackled in chains. Most military planes head to Bangladesh and Pakistan. While waiting at the airport, Iyad met a young man from Nigeria. The man was on a social visit to the UAE and was attempting to leave the country legally, but authorities refused to let him pay the legal fine and arrested him instead – forcing him to go through the entire cycle of detention and deportation for overstaying his visa. Iyad is once again a refugee, awaiting approval of his asylum case in Norway before being reunited with his wife and child. Prisoners like Iyad do not get to decide their destination; Emirati authorities are empowered to choose the location of their exile, or otherwise indefinitely delay their imprisonment. In 2011, Abdulkhaleq was exiled to Thailand before he sought asylum in Canada. Iyad was sent to Malaysia. While Malaysia and Thailand seem like ideal tourist destinations, their governments cooperate closely with Gulf regimes. Previously, Sudanese blogger Amir Ahmed Nasser who was living in Malaysia, had to escape his place of refuge after his book was published and banned. In 2012, Malaysian authorities also deported Saudi blogger Hamza Kashgari back to the Kingdom, where he spent a year in jail for a tweet. 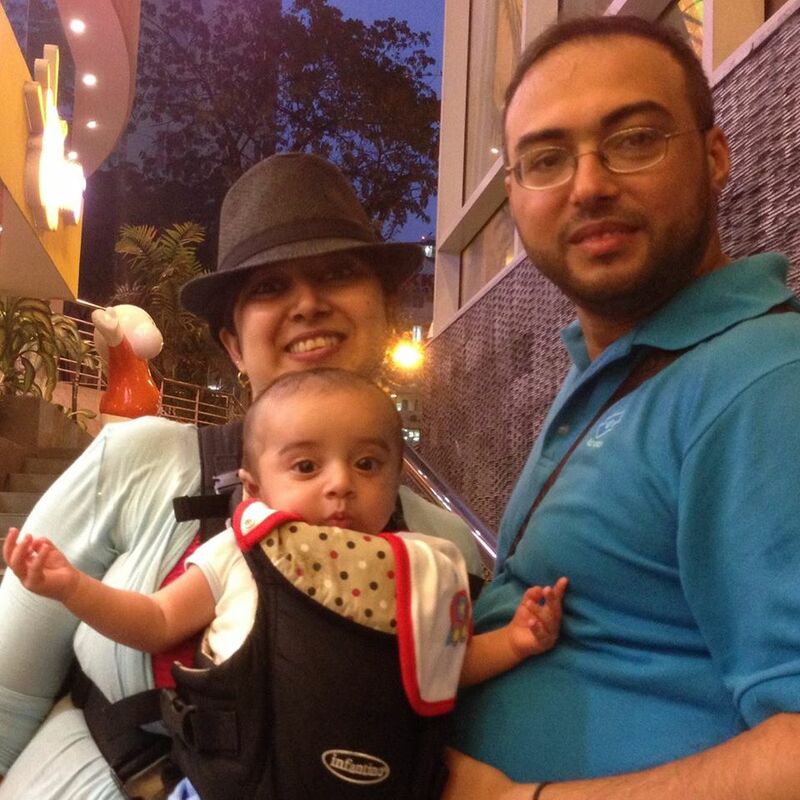 Iyad arrived in Malaysia on May 13th 2014 but was stranded in the airport for three weeks. It was not until the Palestinian Authority provided him with a national document that he was allowed to enter the country. Iyad’s experience with displacement draws back to 1948 when his father, at two months old, was forced to leave the city of Jaffa upon the creation of the Israeli state. Like thousands of Palestinians, his family became refugees with “Egyptian documents,” eventually moving to the UAE in 1974. Iyad was born in Kuwait but raised and educated between Sharjah and Ajman. Until the summer of 2014, the UAE was his home. Today, Iyad is once again a refugee, awaiting approval of his asylum case in Norway before reuniting with his wife and child. His son is a fourth generation refugee.